Google Adsense is top web advertising program and also it pays high. On the other hand YouTube also gives you option to make money from your videos by participating in their partner program. I have used both programs and here i’ll share what i get with these two programs. Google Adsense is mostly used advertising program for websites.However getting approved to Adsense is some tricky. It can take 2 days to 6 months for approval. Also in many cases they doesn’t approve depending on the contents and other design navigation problems of the website. In my case it took only 2 days.Good for me. I am using google Adsense on this blog. Frankly even today this blog doesn’t have large traffic. It is still suffering from low traffic disease. My Adsense account was verified only in two days in November 2014.So i started getting earnings from December 2014. The total earning from Adsense ( Adsense for Content) is today $1.53 only. YouTube Partner program give you option to earn from your YouTube videos. 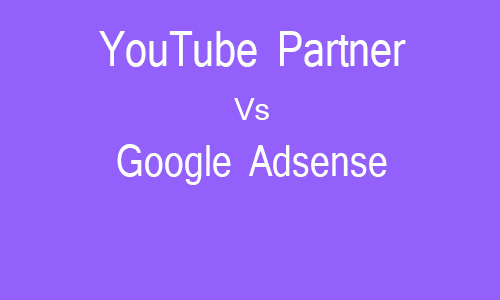 Getting approved for YouTube Partner program is relatively easy as compared to Google Adsense.It takes only few hours.I started my YouTube Channel in September ( 30 August) and joined the YouTube Partner program in mid september. So.So i started getting paid from October 2014.Today i have near about 15 videos on my channel out of which only 7 are giving me earnings. YouTubes earnings are relatively high from adsense. In first month i.e. October i got $0.48. And last month i got $1.80. So total earning till this day is $5.79 from YouTube. And that’s far better than Adsense. Thanks Siddharth for this info. I think youtube partner program is far better than adsense.